City of love where the Arena, the third amphitheater in Italy, with a rich program of plays and musical concerts giving them a magical touch. 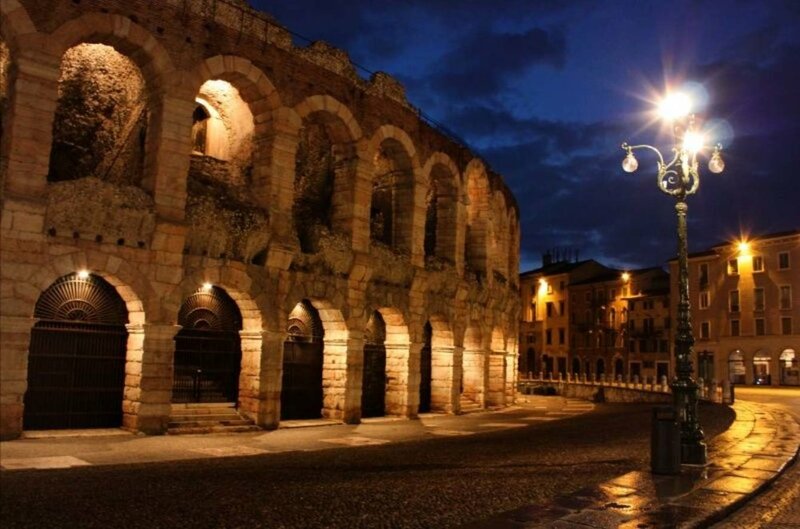 Verona, praised by Shakespeare himself in his most famous work "Romeo and Juliet". The panoramic view of Verona from Castelvecchio, the most important military monument of the Scaligera Seigniory, now houses the town museum. Wine lovers will find here the ideal land with Lake Garda and its mild climate. Catullo and D'Annunzio well describe the poetry of art and nature.